Ran in the 9/11 Heroes run this morning; was sort of a last minute 5k that I signed up for last week. 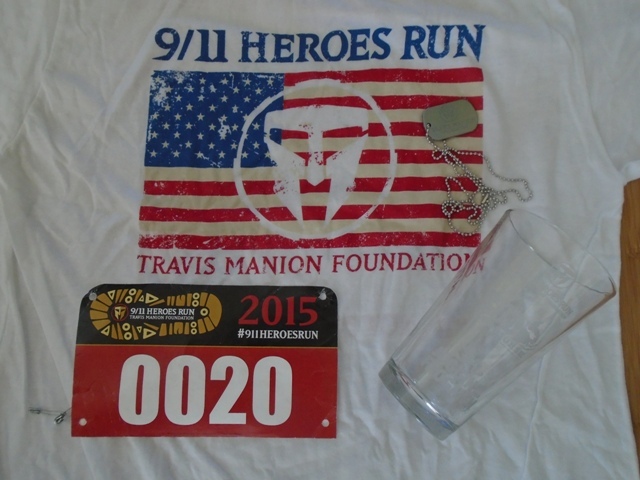 The is the third race I ran in the series so I completed the Trifecta; EOD Warror 5K, Joggin’ for Frogmen 5K and this one the 9/11 Heroes Run Travis Manion Foundation. These races are special to me and I didn’t run them for the ‘stuff’, I ran them to support and to remember of those who protect and serve us. 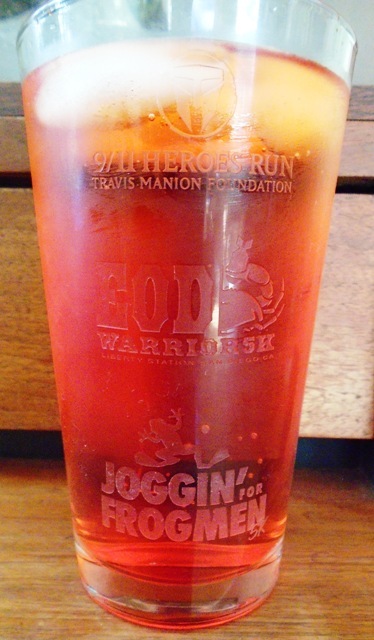 Although the engraved glass they gave me for completing the Trifecta is really nice. I did learn a few thing on this race. When you remove your car key from the key chain and put it in your pocket, make sure you took the correct car key and not the key for your spouse’s car. Never say oh I can wait till after the race to pee. Doing the pee pee dance after running a 5K / 8 minute mile is really hard and you can’t consider it part of your run. When a pretty girl ask you to hold a ‘Pace’ sign just do it don’t be such a prissy. In my defense I was a little confused at what she was asking me todo. I got it once the waves were setup. All the hill running I do paid off big time on this run. It was mostly inclines. I did my fastest 5K yet on this race I didn’t check to see how many racers there were but it was well over 300. I came in; Overall at 160th in 27:45:1 8:57/mile. In my age group I placed 10th out of 21 runners. This entry was posted in Running and tagged 5K, 9/11 Heroes run, EOD Warror 5K, Joggin' for FROGMEN 5K, run, running, Travis Manion Foundation., Trifecta. Bookmark the permalink. Beautiful glass and well done on your PR! Hey, well done! I’m glad you enjoyed it, despite having to pee!